Vehicles are a critical part of Battlefield: Bad Company II. They are important to your team’s success and when used properly are capable of taking out hoards of foes before they are destroyed. However, a poor pilot can turn one of these deadly vehicles into a useless piece of metal. It is important to know what each vehicle does and how to use it so that you can win games and avoid the ire of everyone else on your team. There isn’t a lot to say about the quad bike. It has no weapons and is built for one thing only – speed. If you want to flank the enemy, this is the vehicle to use. Just be careful. The quad bike does not give any protection against enemy weapons fire. 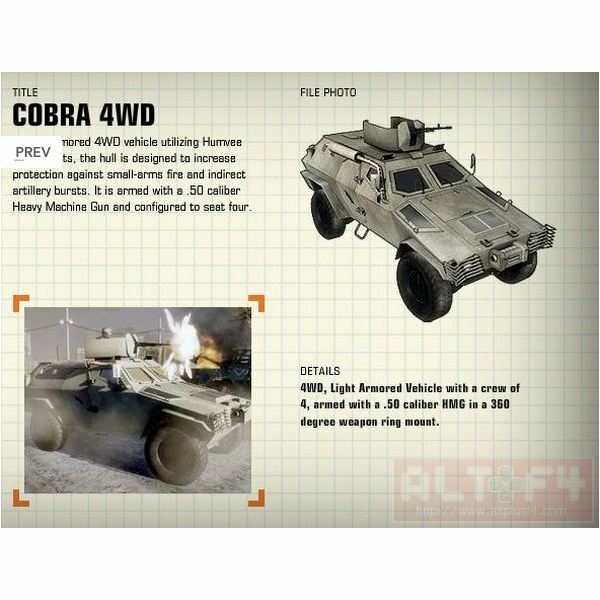 This category of vehicles includes the Vodnik 4WD, the Cobra 4WD, and the HMMWV 4WD. These vehicles are useful for getting across the map, but are generally used as tools for movement rather than as offensive weapons. If you find yourself in the drivers seat of one of these vehicles there are two rules to abide by. The first is to avoid enemy fire at all costs. These vehicles are fairly fragile and will quickly be destroyed if caught in range of an enemy mortar strike or an enemy RPG. The second is to never leave a friend behind. Many players selfishly use these as their personal transportation devices. One vehicle can carry four friendly players, so don’t leave your teammates behind just because you have a hankering to go shoot people in the face. This category includes the BMD-3 Bakhcha and the M3A3 Bradley. The purpose of light tanks is to provide a quick, maneuverable assault vehicle which is more versatile than a main battle tank. Both the BMD-3 Bakhcha and the M3A3 Bradley are largely immune to enemy gun fire and require special anti-tank weapons in order to destroy. They are both armed with a light cannon and a machinegun. As imposing as heavy tanks are, light tanks are actually more effect against enemy infantry and light vehicles. They have an easier time maneuvering in and out of situations and their weapons are more effective than the heavy cannon of a main battle tank, which is incredibly useless when fighting numerous enemy infantry. However, light tanks are easily counted by heavy tanks. The light tanks don’t have the weapons to deal with a heavy tank and the main cannon on a heavy tank with rip through their armor easily. Light tanks also need to be mindful of the fact that their front armor is strongest. An enemy engineer with an RPG can ruin your day with a rocket up your tailpipe. Unlike most vehicles in the game, the BMD-3 Bakhcha and the M3A3 Bradley do not mirror each other. 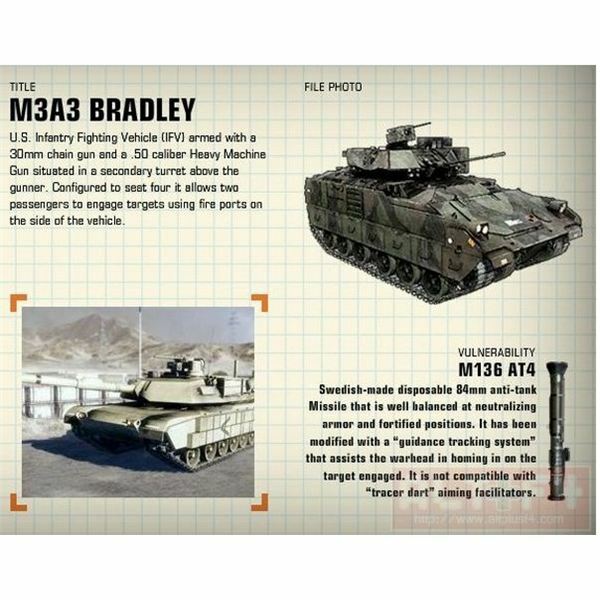 The Bradley has a cannon turret with a machinegun on top. This is an optimal configuration for fighting enemy infantry and light vehicles. However, the Bakhcha has a grenade launcher which launches from the body of the tank and a heavy anti-air machine gun on top. The anti-air machinegun on the Bakhcha actually leaves the gunner somewhat vulnerable to enemy fire. This category consists of the T-90 MBT and the M1A2 Abrams. 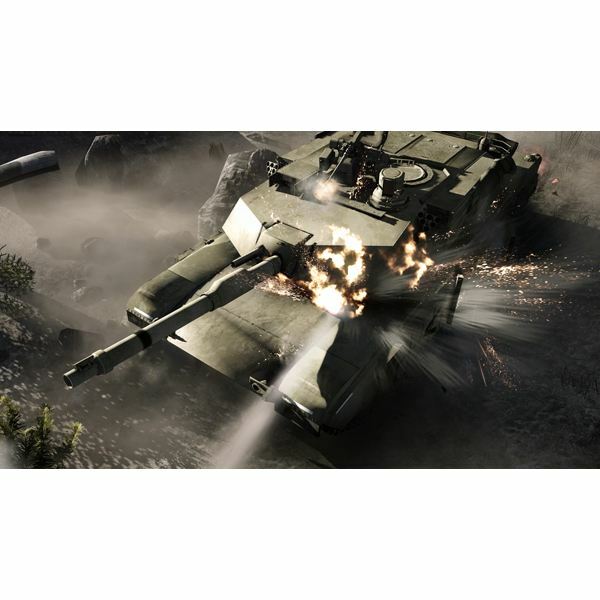 The role of the heavy tanks is to destroy enemy armor and buildings. The main cannon on the heavy tank is extremely powerful and can quickly destroy not only enemy armor but also buildings. This makes the tank important in Rush games. A heavy tank, if not destroyed quickly, can bring down the building an M-Com station is located in. Despite this power, using a heavy tank isn‘t easy. The cannon is difficult to fire and requires a lot of patience. While most weapons in the game require an itchy trigger finger, the approximately four second long reload time of the heavy tank’s main cannon means that you should never waste a shot. If you are going to pilot a heavy tank, find a co-pilot. Someone needs to be arming that machine gun. A heavy tank with no one on the machine gun is a sitting duck and can quickly be taken out by a single recon with some C4. Even an engineer with a repair tool can run up to you and ruin your day. Also, as with light tanks, the best strategy is to protect your sides and rear. The armor of the heavy tank is thickest at the front and equally weak at the sides and rear, so do not let enemies flank you. The front of your tank is determined by where the chassis is pointing, not where the turret is pointing, so there is no reason to ever not be directly facing the enemy who is firing on you. This category consists of the AH-64 Apache and the MI-28 Havoc. The gunships in Bad Company II are like the gunships in every other Battlefield game ever made – extremely hard to use and extremely powerful once mastered. Gunships have no real weaknesses. 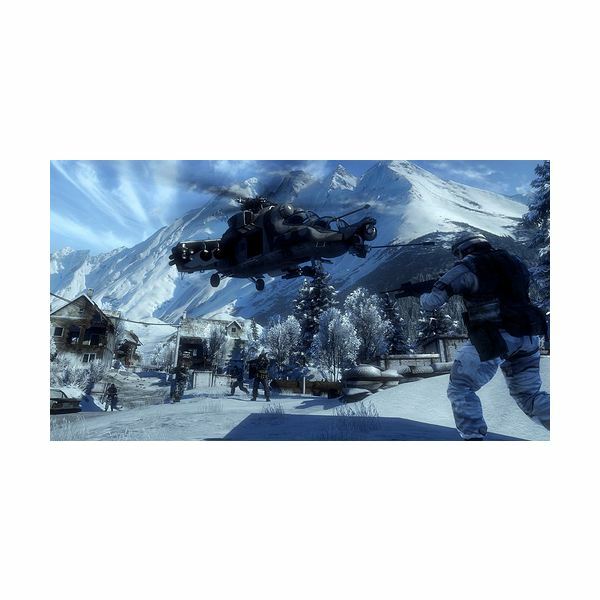 They are armed with rockets and small-caliber cannons and can kill anything else in the game including other gunships. Tanks and infantry can both be killed quickly by a gunship pilot who knows what he is doing. A gunner is required to get the most out of the gunships, but they are still lethal even if only a pilot is in the aircraft. If you want to use the power of these gunships I can only suggest practice, practice, and more practice. It is not easy to get a handle on them. The controls are touchy and the slightest mistake can send you flying into the ground. As a new player to the gunship it can be easy to just try and hover and pick enemies out from the skies. While this results in less chance of a crash, it also means almost certain death. A stationary gunship can be hit with tracers, RPGs, heavy machineguns, and all manner of other weapons. Learn to strafe and you’ll be racking up kills in no time. This category consists of the MI-24 HIND and the UH-60 Blackhawk. These two helicopters are built primarily to transport groups of infantry to a different location on the battlefield. 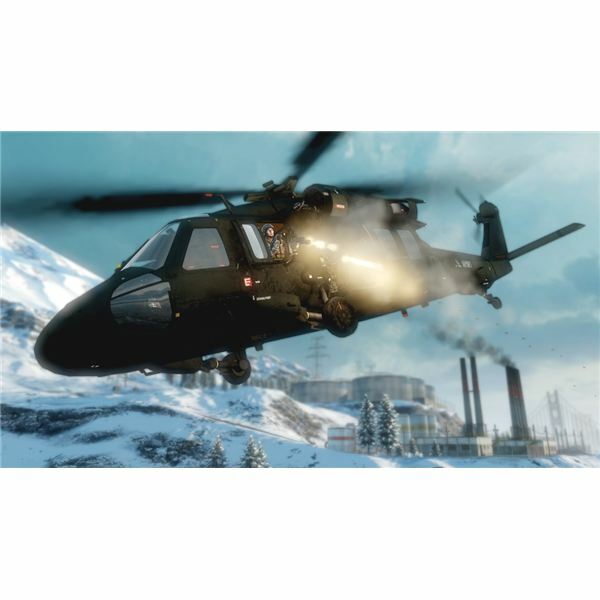 On maps where helicopters are available it is extremely common to see four players load into one of these and then parachute out simultaneously over the enemy base, leaving the helicopter to crash and burn. Crazy as it may sound, this can actually be a useful way of utilizing these helicopters. Transport helicopters do have heavy guns on them, however, which are useful for taking out enemy infantry and light vehicles and also are capable of doing damage to enemy tanks. These guns are mounted on the sides and are capable of firing in an approximately 90 degree arc. The guns are very effective, but it is rare that they both are used at once. The reason for this is that the most effective way for the pilot to fly is in circles around the location of enemy troops. This of course means only one side will be facing the enemy, and so one gunner will be left with nothing to do but pick his nose.